“Today you’ve never been this old before, and you’ll never be this young again, so right now matters. If You Could Achieve A Level Beyond Success? 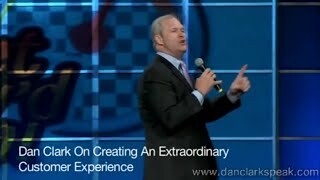 In this most popular keynote, Dan uses his anecdotes, hilarious wit, and famous stories from Chicken Soup for the Soul, tells his inspiring story of playing American football for thirteen years until a paralyzing injury cut short his career, and shares his ‘high flight’ to the edge of space in a U2 Spy plane, to customize his speech around your meeting theme while focusing on Self-Mastery, Redefining What’s Possible, and Making Winning Personal. Dan teaches: Successful people get what they think they want, believing they are paid by the hour. Significant individuals want what they get knowing they are paid for the value they bring to that hour. Dan teaches: Once we identify our personal why, and our why is bigger than our why not, figuring out the ‘how-to’ becomes clear and simple. Dan teaches: How to motivate ourselves, think bigger, compete on a higher scale, and leave a legacy of service before self, knowing the goal is not to live forever, but to be part of something larger than ourselves that will. • We become the average of the five people we associate with the most, and attract what we believe we deserve. • Great is not always good enough, and best is only relevant depending on what we compare it against. • How to access inner strength when faced with fear, obstacles, and crucial conversations, so we’re immunized from being a victim of other people’s actions. But Because It’s Demanded Of Themselves!